Graphic Sports is a leading provider of custom screen printed and embroidered merchandise. Based in the Fort Worth, Texas area since 1998, we service and ship to customers all over the U.S.. We offer custom screen printed and embroidered shirts, hats, jackets and more. We provide on-site digitizing, personalization, monogramming services and a variety of embroidery designs for you to choose from. Our experienced staff offers tailor-made embroidery and screen printing services that fit your needs. 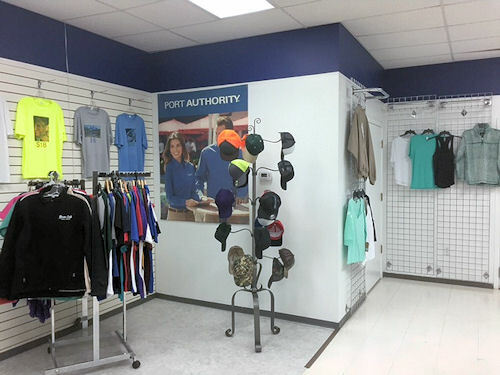 We offer a variety of clothing from leisure wear to corporate wear.You can count on us to have eye-catching texts and designs on your clothing, such as polo shirts, jackets, caps, golf shirts, bags and more. We have a large showroom and warehouse and have modern screen printing and embroidery equipment. We have the capacity to screen print up to 2000 items a day or embroider up to 1000 items a day, so we can offer quick turnaround on most orders.